Bring home the premium class sound of the LG speaker advanced technologies. This smart speaker uses voice commands to control compatible devices. 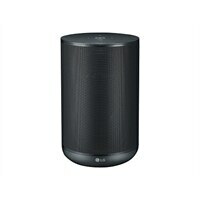 LG WK7 Smart SpeakerBring home the premium class sound of the LG speaker advanced technologies. This smart speaker uses voice commands to control compatible devices.